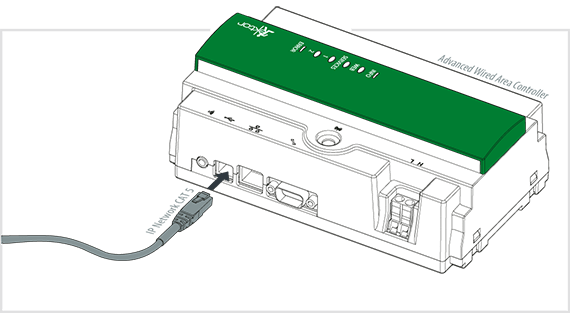 The advanced wide access controller (AWAC) has the ability to Email, SMS and connect to the cloud service. 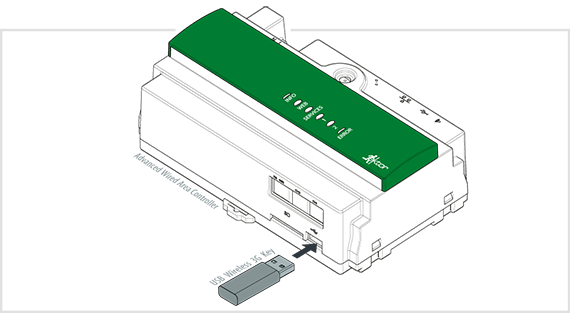 With the addition of a internet access, either connected through CAT5 or a USB 3G modem, the AWAC can send and receive emails to selected users. Any AWAC on the network can be configured to send and receive emails and the users can select what information to receive and when. Additionally custom reports can be made quickly and easily with the use of the AWAC’s function creator. Users can email the AWAC to run specific functions. This can save time, as the Email service is able to process commands and return the data without the need for the user to visit the site or connect to the AWAC. The web functionality allows the AWAC to connect to the cloud service and keep up to date with any new software features. Additionally if the installer creates an account on the cloud service, the users can access graphs, testing, reports and link multiple sites together in one interface. The web functionality allows remote maintenance of the AWAC which reduces site visits. With the addition of a USB 3G modem, the AWAC has the ability to send and receive SMS messages through its inbuilt SMS service. In addition to this, larger networks of more than one AWAC can be networked together with CAT5 to all share the same SMS service. SMS functionality can include sending reports, or issuing repair notices to the selected contractors. Reports can include all the relevant information such as which device, what type of fault, re-order codes of the product or parts required. This allows the contractor to have all the information needed before coming to site reducing call out costs. Receiving functionality allows users or contractors to send commands to the AWAC. These commands could be as simple as to run a function test, or turn all the lights in the building off. Contractors can also use SMS to inform the AWAC that a lamp, battery or fitting has been replaced by sending the associated ticket number back to the device. This allows the AWAC to record the maintenance and retest the device if required.